Prelude: A couple of weeks ago, the phone rang (loudly). The ringtone: Black and Yellow (very classy). It was Governor General's (GG) office. "Yassmin, would you like to come to a reception to meet Prince Will and Kate in a few weeks?" "Um...sure?! ", was my response, a little shocked. I agreed immediately to the event in Canberra at the Governor General's residence. No thoughts were given to the logistical details or how I was going to make it work. How could one say no? Today: 3am wake up, flight to Sydney from Perth and then down to Canberra. Fortunately I had only packed the one outfit, because I could have spent hours deciding what to wear. Why the outfit matters so much I am not sure, as one rarely remembers. Irrationally though, that is almost always one of the first things on my mind when I get an invite to a fancy event. In fact, the immediate thought is usually: what scarf?! 1. Almost arrived late. WOO! My ride got slightly lost and I made it to a 6pm event at 5.58pm...cutting it fine. 3. Anyhow! So as we were standing around in awe of everyone else in the room (few VC's, few Aussies of the year, general debauchery), making small talk, a bell is rung. 4. "No personal photos!" we were told, and we're given the impression that if you do whip out the iPhone for a selfie with the Duke, it may be the last thing you ever do... (in that room). The rules are set. "The Duke and Duchess will circulate. Hold your positions". Instructions given, we awaited the Royal entrance. 7. The Winter Olympians and I spoke to the Duchess first off the bat! She gave her undivided attention to each person she spoke to, seemed genuinely interested in asking questions and quite lively, particularly given the fact that their trip has been insanely packed. I spoke to her about Youth Without Borders and the work we do, she said she loved my gold flakes necklace (from Melbourne markets) and continued circulating. 8. The rest of the night was meeting the other folk in the room. I told Harry Kewell how much of a Liverpool/Scouse fan I was (and how excited I am about how close we are to winning the league! ), finally met the lovely Jess Watson and was embarrassed by the fact that I didn't know the dude from NXS who had a lovely suit. I also laughed with a bunch of pilots and defence people who definitely thought I was insane. Caught up with a number of old friends and met the Governor General himself, who was also a great conversationalist and seemed very approachable. "We love making use of this house!" he said, and I thought that was rather great. 9. All in all, it was an enchanting night. The caterers were also quite diligent: a lovely lady named Sarah always brought me the vegetarian options for the refreshments first. PS: Would it be tacky to say I've had Lorde stuck in my head all day? Check out this piece I wrote for the Daily Life a little while back! World Hijab Day was celebrated by a reported 116 countries around the world on 1 February this year. The initiative, started by New Yorker Nazma Khan, seeks to promote understanding and harmony by celebrating the hijab and encouraging non-Muslims to try it on and see what it 'feels like to be a Muslim'. It is fantastic that the world came together to celebrate the hijab. If, however, the aim is to foster true connection and understanding of Muslim women, the focus has to be on more than simply focus on what they wear. The campaign has its merits; there is no denying that there is a space for symbolism in the public realm. But the initiative can also be seen as exploiting the symbolic nature of the hijab by using the style of covering as a gateway for people to engage with the religion in an introductory fashion. The fact is, for better or for worse, the visibility of the hijab (and the ease in which it can be policed) has made it a powerful symbol. It has evolved into a lightening rod around which debates and discussions about Islam's role in the West are centered and goes some way towards explaining why the concept of a 'World Hijab Day' is popular. However, if the conversation stops at symbolism, which it so often does, the effect becomes to trivialise rather than achieve any sort of deeper connection and understanding. By focusing on an item or style of clothing, we again run the risk of reducing Muslim women to objects. Ironically, this is the complete opposite of what the hijab is designed to achieve. By intimating that donning the hijab will allow the wearer to 'see what life is like as a Muslim woman', it also subtly implies that the hijab is one of the only things that makes a woman Muslim. This does have the unfortunate side effect of ostracizing Muslim women who choose not to wear the hijab. This is not to say that the concept of World Hijab Day is entirely flawed. By demystifying it in some sense, progress is made. However, it becomes concerning when time and time again, the only discourse about Muslim women is confined to the hijab. To enrich and broaden the narrative, we should instead focus on the stories, lives and achievements of Muslim women across the board, regardless of their choice of clothing. We should recognise Muslim women as active and engaged members of the community. These are women who are doctors, engineers, accountants as well as mothers, politicians and scholars. Women like Ayesha Farooq, a female fighter pilot in Pakistan, or Ibtihaj Muhammad, a female fencing Olympian. Women like my very own mother, who tells stories of standing up to soldiers during the coup in Sudan when she was a student. She was never defined by her clothes but always by her steely determination to make the most of life and provide the best opportunities for her children. It has to be said though, that part of the impetus is also on us as Muslim women. We cannot simply continue to be defined by, and allow the world to define us by, the clothing and modesty choices we uphold. We cannot wait for others to tell our story. Although it may be frustrating to have to do so, these are the times we live in and so we have to actively ensure that the narratives we tell about ourselves are more than just about our physicality. When we reach the point where the hijab is no longer something 'remarkable' in the literal sense of the word, we have reached a true understanding. Let's aim for that. Now here is an advertisement that is a little different. Brands - particularly cosmetic brands - for their tendency to play on and reinforce gender stereotypes. This ad for Pantene in the Philippines throws this right back at us, displaying various behaviours and highlighting the differences in the labeling of men and women in the different situations. This disparity in labeling is well documented and is often reported to be a challenge for female leaders, and honestly, probably women in general. It is an interesting dilemma, and one without an easy answer. What is interesting is that Pantene has decided to profit from highlighting this double standard. In a way, I am skeptical of capitalist, for-profit corporation use of advertising to send a positive message because at the end of the day, their bottom line is what is most important - they simply want to move product, right? What this also indicates though, is that advertising gurus up in Pantene Philippine's head office decided that women would want to buy something from a brand that realised there was a double standard at work and seemingly wanted them to do well regardless. It implies that although you, as a woman, may be labelled 'bossy', or 'selfish', your actions were actually that of a 'boss' and someone 'dedicated'. I wonder if Pantene Australia would ever go for something like this, or whether women in places such as the Philippines connect more strongly with this sort of message? Photos from around the net. Click for source. LOLs on a Monday morning: Cosmo?! ...but for some cray reason I've been nominated as a finalist for Cosmo's 'Fun Fearless Female' Awards?! In the role model category. You guessed it, it needs votes! So what do you say? Head over to their website and maybe read about all the other nominees too. Give me a vote if you reckon I deserve it, but there are some amazing other women in the bunch too so spend some time to learn about them and be inspired... It's an honour to be counted among these ladies at any rate. Damn Australia has some fine talent! 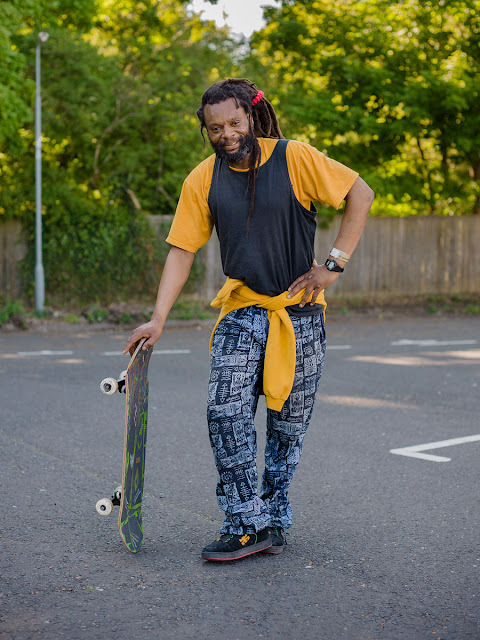 Skater fashion from around the world. I bring to you, the Skartorialist.